A translation of the Old English poem Beowulf by author JRR Tolkien is to be published for the first time, nearly nine decades after it was completed. The Lord Of The Rings author's estate has signed a deal with HarperCollins to release it as a book in May. The new work Beowulf: A Translation And Commentary has been edited by his son Christopher Tolkien. It is the latest posthumous publication for the author, following his poem The Fall Of Arthur last year. Beowulf is the longest epic poem in Old English, the language spoken in Anglo-Saxon England before the Norman Conquest. It tells the story of a struggle between the hero, Beowulf, and a bloodthirsty monster called Grendel. Tolkien completed his translation in 1926 - and the new publication will be accompanied by further thoughts on the text, which Tolkien prepared for a series of lectures given at Oxford during his academic career. 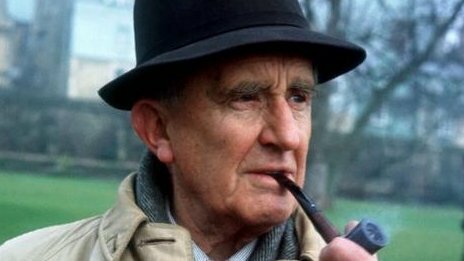 The author died in 1973, having seen The Hobbit and The Lord of the Rings achieve literary success, but leaving behind many unpublished works. Christopher Tolkien said: "The translation of Beowulf by JRR Tolkien was an early work, very distinctive in its mode, completed in 1926. "He returned to it later to make hasty corrections, but seems never to have considered its publication. "This edition is twofold, for there exists an illuminating commentary on the text of the poem by the translator himself, in the written form of a series of lectures given at Oxford in the 1930s, and from these lectures a substantial selection has been made, to form also a commentary on the translation in this book."